Hello Jolie! I got a second-hand yoga mat from my boyfriend. It doesn’t smell spectacular and it’s got some dark scuffy marks. Yoga mats are pretty porous so I don’t really know where to start with cleaning it ... probably white vinegar? Thanks! “Probably White Vinegar” is going to be inscribed on my tombstone, isn’t it? Well, that’s fair because, yeah, “probably white vinegar” is definitely one of the answers to the question of how to clean a yoga mat! There are, however, options and nuances to this operation, and so for the purpose of today’s lesson in exercise mat care, let’s break things down into two parts: regular cleaning and deep cleaning. 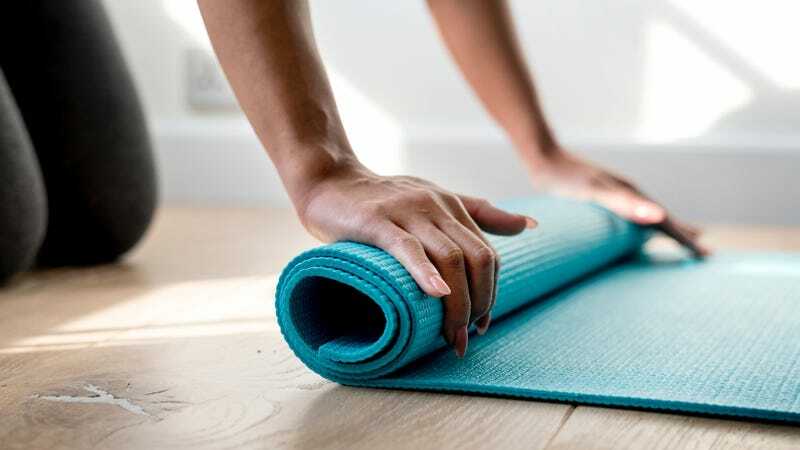 Regularly cleaning a yoga mat is insanely simple! And it will take less than a minute! But there’s also the part where you actually have to do it, and that sure does trip people up. Because you’ll want to know, let’s address the question of how often to perform this ritual before we get into the particulars of how to perform this ritual: This is less of a “X number of times a week/month/year” proposition and more of a “X number of uses” thing because, of course, everyone uses a mat at a different clip. So! Let’s go with every 1 to 3 uses as a general guideline for how often to do a basic cleaning of your exercise mat. So now let’s move on to the how: The gist of routine yoga mat cleaning is to wipe it off the way you’d wipe off a countertop. That’s all! As for what to use for this operation, there are four basic types of mat cleaner to choose from: all-purpose cleaners, mat sprays, DIY mat sprays or mat wipes. If you opt for a spray, the trick is to use a light hand with the stuff — aim for a light misting of the mat rather than a soaking, because mats are porous and you don’t want to be carrying a soggy mat around. You can either mist the mat and call it a day, or you can spray and then wipe the mat off using a rag or paper towels, which will help to remove the dirt and grit that a mat can pick up from less-than-clean studio floors. This is probably going to be the right choice for most of you, because most of you will already have one of these in your home. 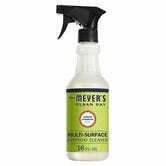 You can use any commercial all-purpose cleaner to wipe a mat free of grime and sweat and bacteria. However, mats are somewhat absorbent and you’re likely to be, like, laying your face on the thing, your best bet is to opt for a gentler all-purpose cleaner. 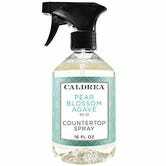 One of those Mrs. Meyer’s sprays or Caldrea sprays would be a good choice — so many wonderful scents to choose from! — but really, there are plenty of other good options. 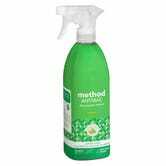 If you fall more on the germaphobe side of things and want an antibacterial spray, try Method AntiBac. OF COURSE yoga mat-specific sprays exist. 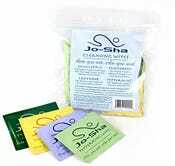 In many cases, you’ll pay more for what are, essentially, just all-purpose cleaners marketed specifically to yogis, but hey, maybe you don’t mind! Or maybe you need a small gift idea for the yoga enthusiast in your life. The point is that these sprays aren’t necessary, but they can be nice to buy. If you want to get a little crafty, you can totally mix up your own mat spray. To start, you’ll need a spray bottle — and here I would suggest getting two bottles, a large one for mixing up a big batch of your yoga mat cleaning potion, and a smaller one that you can fill and toss into your gym bag for cleaning on the go. There are a million (rough count) “recipes” for mat cleaner. Many of them involve simply diluting products like witch hazel, white vinegar or our old pal Dr. Bronner’s, while others are a little fancier and will have you mixing up essential oils that have antibacterial properties like tea tree, lavender or grapefruit seed with distilled water and the aforementioned witch hazel or white vinegar. 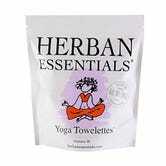 There are pros and cons to using mat wipes like Herban Yoga Towelettes, JoSha Yoga Mag Cleaning Wipes or Jasmine Seven Mat & Body Yoga Wipes. They’re easy to use and convenient and the best choice for tossing into a gym bag. Buuuut they create a lot of extra waste, since you’d be using a disposable wipe every time you clean your mat. But mat sprays and wipes aren’t going to cut it for our Letter Writer, so now let’s turn our attention to deep cleaning a mat, which is what you’ll want to do when it gets impossibly grimy or very smelly. The best way to deep clean a mat is in the bathtub, because it’s roomy enough to unroll and submerge the mat entirely. Fill the tub with enough warm water to cover the mat, and add a small amount (about a tablespoon) of mild detergent. 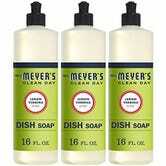 Here, you can use dish soap, liquid laundry detergent like Tide Ultra Stain Release (this would be especially good to use on very grimy or stained mats), or Dr. Bronner’s. Holding the mat under the water with one hand, scrub the mat with a sponge, then let it soak in the soapy water for about 15 minutes, longer if the mat is very heavily soiled. Drain the water and rinse the mat well to remove all the soap residue. After rinsing the mat, lay it on top of a clean towel and roll the mat and the towel up together, which will squeeze out a lot of water into the towel. Then, unroll the mat and either lay it flat or hang it to dry (putting a fan near the mat will help to speed up the drying time). After washing, let the mat dry completely before using it again which, depending on the weather/climate where you live, could be up to two days. Be sure plan your practice accordingly! If you don’t have a tub or you just want to take the easier, albeit less gentle, route, yoga mats can be machine washed in a front-loading washer. Yes! Use cold water and the gentle cycle, and don’t put the mat in the dryer — either hang it or lay it flat to dry. However, if you have a top-loader with a center agitator, machine washing isn’t recommended because the fins on the center agitator can nick or shred the mat.